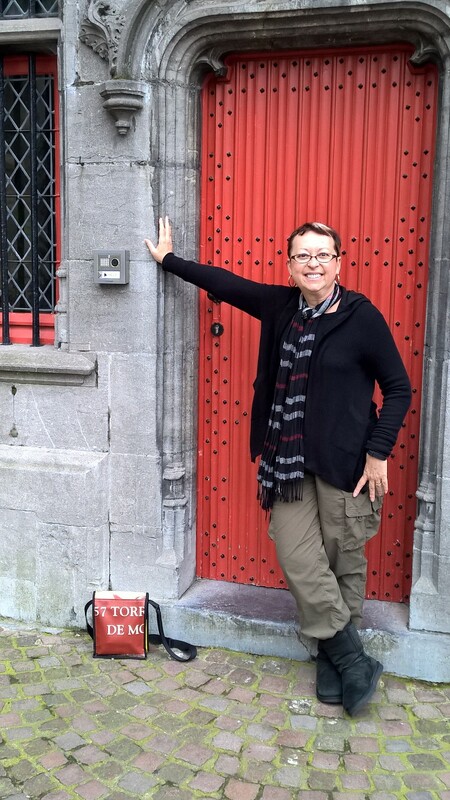 Bruges was always on our “must” destination list if we visited Europe. So, at 6 a.m. yesterday after one hour of sleep (due to insomnia not partying), off we went on a four hour train ride from The Hague to Bruges. Expecting to see a small medieval city with the iconic Bell Tower featured in the movie, In Bruges, we were shocked to turn the corner of the winding brick road into the city and find a commercial boulevard with a Zara, McDonald’s, Claire’s and all the modern stores found in the local mall. REALLY? Now, I’m all for retail stores, which have been my livelihood for years but there is a time and place and Bruges is not where you want to shop for $19.99 fashion at H & M. I guess you can’t blame the locals who want to profit from all the tourism so they can make a living and there can only be so many chocolate, lace, waffle and beer shops to feed our appetites and tacky souvenir needs but still…WTF! I don’t think the best use of a 1767 historic building is to house another Zara. 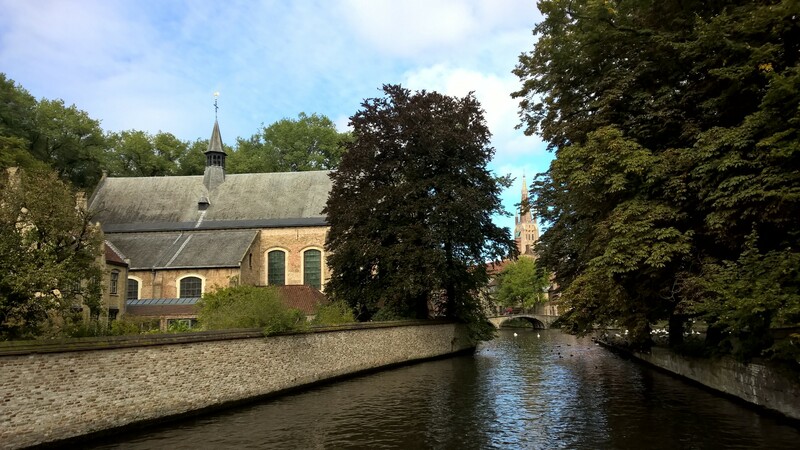 That being said, parts of Bruges were well preserved and, if you get off the main street, you can find quaint history houses from the 9th century as well as 17 churches (16 Catholic/1 Protestant) to wonder through and lovely bridges over canals for picture-taking. The train station is conveniently located within walking distance of this town which used to be on the sea until it retreated. Global warming may one day make it seaside again-you never know. 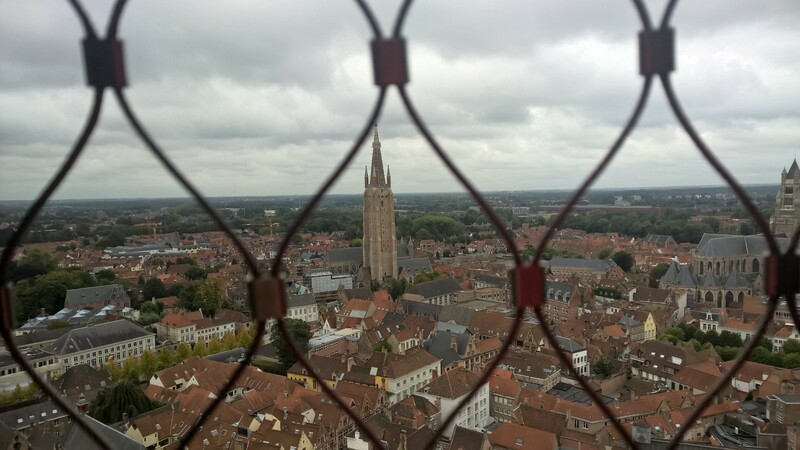 The highlight for Thom was walking up the 336 steep steps to the Bell Tower featured in the movie, In Bruges. I guess someone is pushed off the top and lands SPLAT in the square below in the film. Not my kind of movie but whatever-it was an interesting climb up teeny, tiny stairs with only a rope in certain places to cling to. Just like the Great Wall, this is not ADA friendly and if you fall and get hurt, good luck getting back down those stairs ’cause no one is helping you down and there isn’t an elevator. Still, the view was stunning from the top! 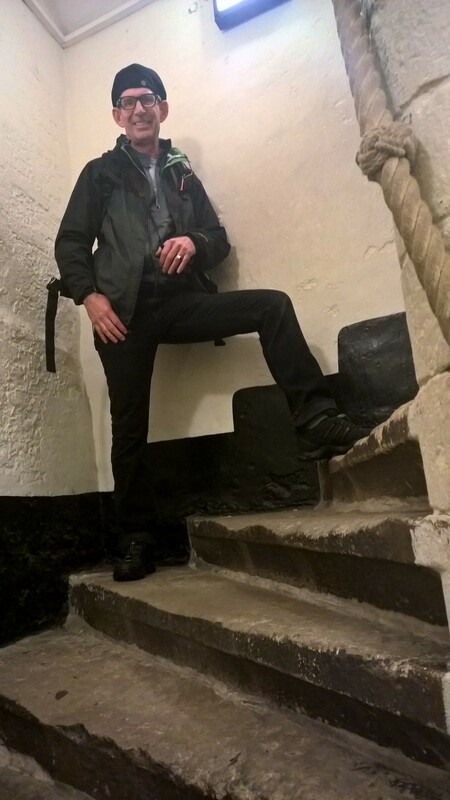 336 steps and you are at the top-grab the rope and pull yourself onward and upward! I talked Thom into a horse-drawn carriage ride around town. While he has never consented to one of these in NYC, he relented and ended up enjoying the guide’s history lesson as we galloped through the narrow streets. You definitely could imagine days past when horses were the only mode of transportation and, when the final bell of the evening sounded from the tower, the gates to the city were closed to protect against marauders. We were lucky to arrive on market day in the town square. Munching a sugar-coated waffle as my local snack (YUM! ), we rested on the town square steps and wished we could take home the lovely pots of lavender offered for sale. Gorgeous! On the train home, we noticed fields of lavender waiting to be picked. 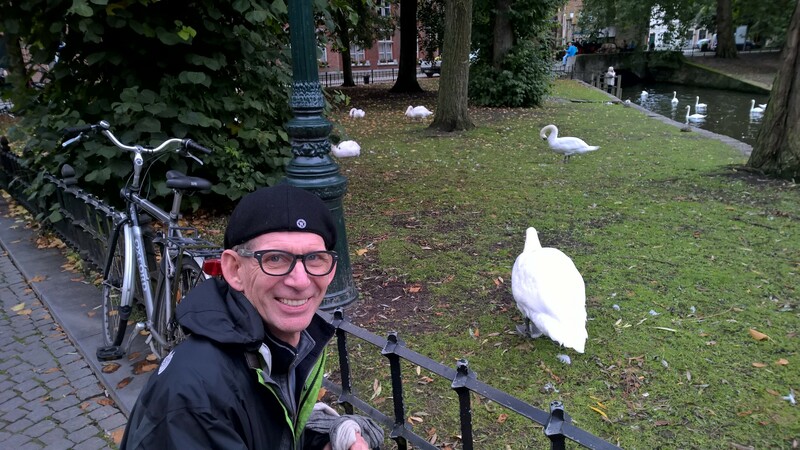 Though a long ride with a stop in Brussels to change trains, the 8 hours of train ride were just another part of the Bruges adventure. Arriving home tired and ready to get a good night’s sleep, we were glad we had finally been “In Bruges”.